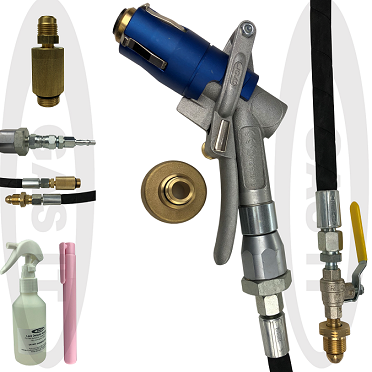 Autogas & LPG Test and Install Equipment for Gas Engineers. - GAS IT Leisure Gas Bottles, Gas Cylincers and Gas Tanks - Catering, Motorhome, Campervan, Caravan, Farrier and Road Repair Refillable Gas Solutions. GAS IT is well-known for being a service company first and a sales company second. As such we recognise the importance of test equipment and tools for use by anyone working on LPG systems of any type and brand. If you’re an LPG installer, then contact us by phone or email to get full access to your GAS IT trade account before buying any products. Our GAS IT Trade accounts gives you full access to your Trade Prices, Technical Information Digital Downloads, as well as our well-loved GAS IT Sales and Marketing literature and demo products. We are waiting for this item to at our warehouse. We currently estimate this item to be back in stock during the week of 12 Apr 2018. Delivery of this item would be after this date. We are waiting for this item to at our warehouse. We currently estimate this item to be back in stock during the week of 09 Feb 2018. Delivery of this item would be after this date.